Expected to feature storylines about the Civil Rights movement, a ”Good Times’ feature film is in production by Sony Pictures, Deadline reports. 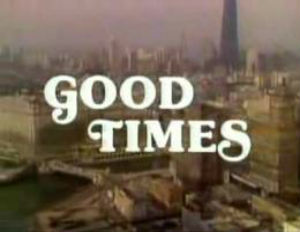 Originally aired on CBS from February 8, 1974, until August 1, 1979, Good Times was a sitcom about the Evans family, an African-American working class family living in the housing projects on the south side of Chicago. The film, to be produced by Scott Rudin whose credits include The Social Network, has its critics who think it will ruin memories of the beloved television series. Would you go see a movie adaptation of Good Times?